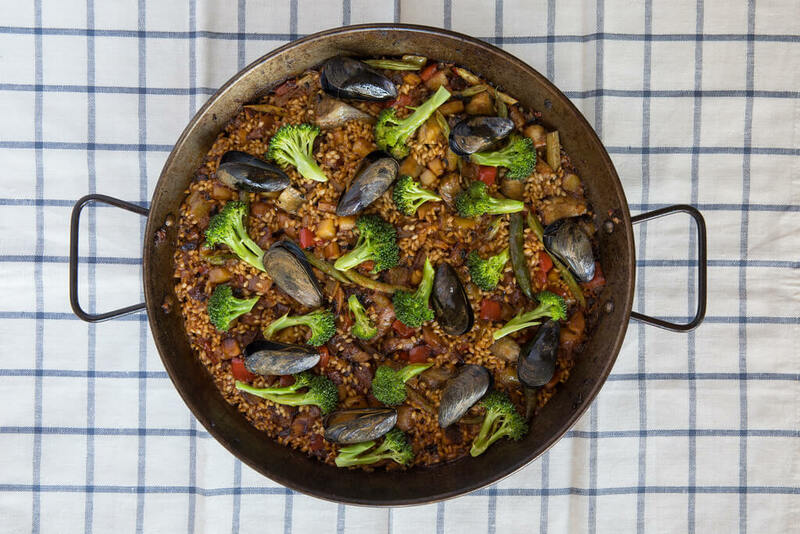 This “mixta” style of paella — cooking both meat and seafood into rice — is what most people outside of Spain know and love because it’s delicious, homey, and incredibly satisfying. 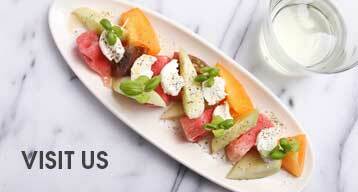 Below is a winning combination that we created after a trip to our local market. Stick to it or swap in similar ingredients; that’s the spirit of “mixta.” It’s not just that cooks everywhere have their own versions, but they have different versions every time they make it based on whatever looks good at the market. just warm until ready to use. Heat 3 tablespoons oil in a 16-inch paella pan over high heat. Season the chicken and pork with salt and pepper and put into the hot oil in a single layer. Reduce the heat to medium-high. Cook, stirring occasionally, until well-browned, about 7 minutes. Add the cuttlefish and raise the heat to high. Cook, stirring, until browned, about 3 minutes. Reduce the heat to medium-high. Add the onion and cook, stirring, until tender and browned about 5 minutes. Add the garlic and stir for 30 seconds, then add the peppers and season with salt. Cook, stirring often, until crisp-tender, about 5 minutes. Add the artichokes, season with salt, and cook, stirring often, for 2 minutes. Add the tomato and cook, stirring, until the pan is dry, about 3 minutes. Add the green beans and cook, stirring, for 1 minute. Add the hot chicken stock. Bring to a boil over high heat and season to taste with salt. Sprinkle the rice evenly in the pan. Stir it a little to make sure it’s evenly distributed and submerged in the liquid, but then don’t touch it again. You don’t want to activate the starches and make the mixture creamy like a risotto. You want the grains to cook separately from each other. Scatter the broccoli on top. Bring to a boil over high heat and boil vigorously for 5 minutes.